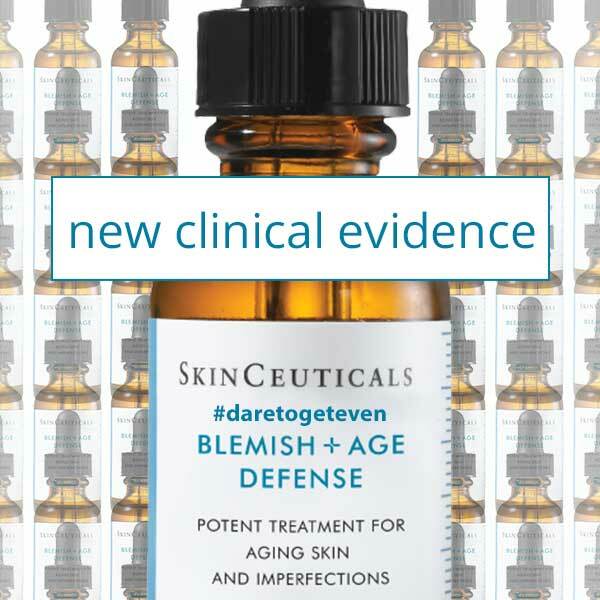 SkinCeuticals have revealed 3 important studies that demonstrates the skin benefits of using SkinCeuticals Blemish and Age Defense Serum and why we should all add it to our skin care regimes. See the Before & After Photos with real people using SkinCeuticals Blemish & Age Defense Serum and Dr Alek Nikolic’s short 1 to 2 minute video reviews of the three studies demonstrating the skin benefits of Blemish & Age on ageing, acne and post-inflammatory hyperpigmentation. New evidence revealed that the Blemish & Age Serum is a targeted technology skin product that is specific to ageing skin that is prone to blemishes, pigmentation, pigmented marks and acne. Interestingly acne affects 25% of all adult men and 50% of adult women. Unfortunately, our skins during these outbreaks is more prone to developing scars, ongoing blemishes, increased oiliness, and post inflammatory dark marks or hyperpigmentation. I have summarised each of the important clinical studies in point form below for easy reading but you can also watch the 3 videos on each study in the Video Tab Section above.